The Route 66 Cruisers Car Club of Claremore, Oklahoma would like to sincerely thank everyone for your continued support. 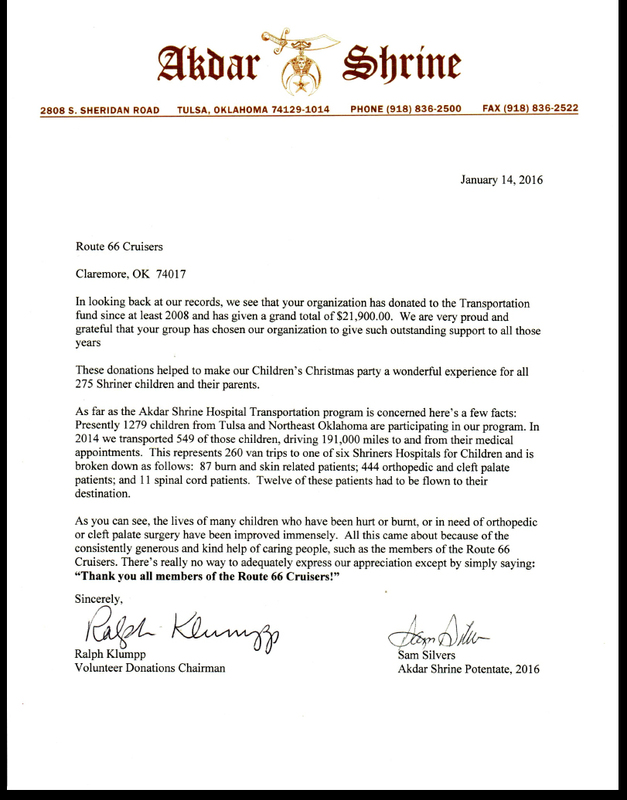 Since 2008 the club has raised and donated over $21,900 dollars to help children in need being treated at Shriner's Hospitals. It is with your continued support that together we can make the greatest impact on the thing that matters the most to everyone- the kids! It does not matter what car club you join, what kind of car you drive, who your friends are, or even where you cruise, what matters is how we as a whole can turn our passion for cars into a passion for caring.